A quick note before I begin: one of the authors is employed by MARS, Inc., a company that makes among other things, chocolate candy. One of the most enjoyable things about the holidays is curling up with a good book and a cup of hot, steaming cocoa. A single sip of that marshmallowy chocolatey goodness, and my stress is washed away. It's truly a rejuvenating experience. Now scientists believe that cocoa – or more precisely, a class of chemicals called flavanols in cocoa – may literally rejuvenate the aging brain. In a new randomized-control study by a team from Columbia University, flavanol supplementation enhanced recognition memory performance in older adults and boosted the activity of their dentate gyrus, a part of the hippocampus plagued by age-related functional decline. Nestled deep within the brain, the dentate gyrus (DG) performs a difficult memory task called "pattern separation": put simply, it's the process of distinguishing between two very similar things, places or events from memory (the exact definition still awaits consensus). It's also a major birthplace of new neurons in the brain. Previous studies showed that a decline in DG function correlates with age-related memory problems, but we don't know whether it causes "senile moments". We also don't know if boosting DG activity – with drugs or better yet, lifestyle changes – can ward off memory slips in humans. 3D-reconstructed hippocampus. The DG is in brown. EC stands for "entorhinal cortex", which suffers from dysfunction in Alzheimer's disease. Source: Fig 1 of paper. 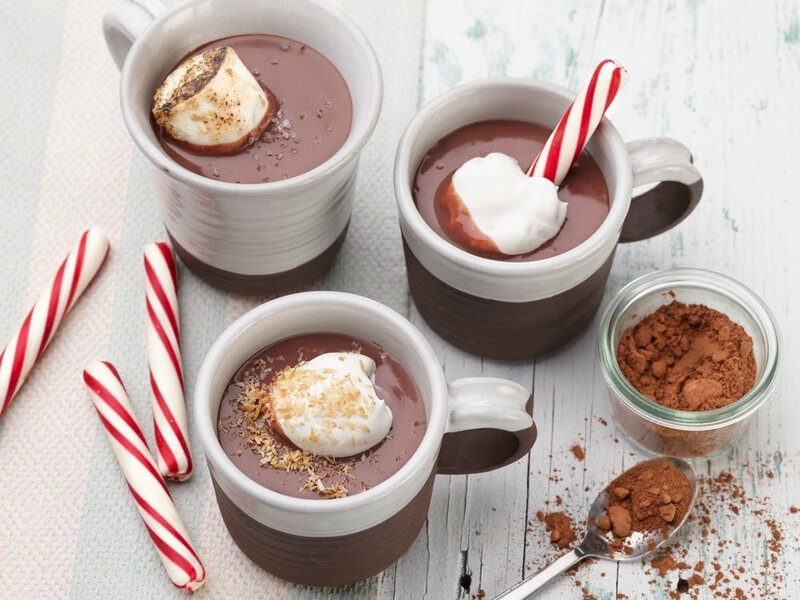 Here's where hot cocoa comes in. Flavanols have long been promoted as health-promoting supplements. Commonly found in fruits, vegetables and raw, unprocessed cocoa beans, flavanols seem to benefit the cardiovascular system and improve cognitive functions, at least in mice. It's effect in humans has been tougher to study. Although a handful of association trials found that flavanol-rich diets correlate with a lower risk of cognitive decline, these studies cannot prove causation – in fact, the correlational nature of these studies is a major reason why nutritional science is so confusing. The current study shines in that it uses randomized controlled trials (RCTs) to examine if flavanol supplementation causes enhanced memory. RCTs are often called the "gold standard" of clinical trials, because it keeps everything steady and only changes one variable: drug versus placebo. Since the researchers were particularly interested in DG-processed memory, they first developed a task that can reliably measure age-dependent DG dysfunction. They recruited 149 volunteers, aged 21-65 years old, and showed them computer-generated Lissajous curves. After a 1s delay, they presented two curves – one old, one new – and asked them to pick out the one that they just saw. In addition to this "matching task", the volunteers also had to try to identify if they previously saw a particular curve. To measure changes in their brain activity, researchers used a type of fMRI that looks at cerebral blood volume, which correlates with brain metabolism and (most likely) activity levels. Left: Both left and right DG activate while doing the curve-discrimination task. Right: DG blood volume (and hence, inferred activity) decline steadily with age. As you can see in the graph above, this curve-discrimination task heavily relied on the DG, and task performance suffered with increased age. The task didn't recruit the entorhinal cortex, a brain region that feeds information into the hippocampus and declines in function in Alzheimer's disease. This suggests that the task, called ModBent, is particularly good at picking out and monitoring DG activity. Researchers now have a great tool for their intervention study. They recruited 37 healthy volunteers aged between 50 and 69, and gave them a specially-formulated cocoa drink containing either high (1038mg total, twice a day) or low (<12mg total) levels of flavanols. As an additional measure, they also split both groups into high- or low-exercise subgroups, given that aerobic exercise was previously shown to slow memory decline. The hope is that flavanols plus exercise will synergistically benefit the aging brain. Twelve weeks later, regardless of whether they engaged in any exercise, the group that consumed the high-flavanol beverage performed much better on the ModBent task than the low-flavanol group, selecting the correct answer 630ms faster on average. This corresponds to an anti-aging effect of almost three decades; that is, the high-flavanol group did as well as 30- year-olds on the task. The authors made sure to eliminate the effects of practise or differences in individual baseline performance by comparing between groups rather than within a group (i.e. compare how one person did before and after supplementation). High flavanol intake also boosted blood volume in the DG and its downstream target, suggesting higher metabolism and improved function. Looking closely at the data, researchers found a positive correlation between blood volume and performance: that is, the bigger the increase in blood flow, the larger the improvement on the memory task. In other words, changes in neural function tracks changes in cognition, and the effect is causal. Left: Comparing high- to low-flavanol groups, the former shows activation in the body of the hippocampus. Right: Blood volume (CBV) changes for every volunteer. What about exercise? To the authors' dismay, the exercise regime failed to improve the volunteers' VO2 max, a major marker for aerobic fitness. This prevented the scientists from drawing any conclusions. Scientists aren't quite sure why the regime – 1h per day, 4 days per week – failed, but suggested that maybe the elderly need more exercise to see a benefit. What's flavanol doing in the brain? Based on animal studies, the scientists speculate that it may increase the number of blood vessels in the DG and thus allow better blood flow and increased metabolism. It may also encourage neurons to form more connections with each other. Regardless of the mechanism, this study strongly suggests that flavanol supplementation is good for the aging brain. For a dietary intervention study, this one really shines in its design. Nevertheless, it has some flaws and leaves many unanswered questions. For example, the authors didn't track how much flavanols the volunteers were eating up in their daily diets, from sources such as tea, blueberries and wine. Is the current dose and dosing regime optimal, or could we see even better effects with higher supplementation? Are there any side-effects? How long do the effects last? What types of flavanols have the best effects (the authors used cocoa flavanols and epicatechin in this study)? Do flavanols only benefit the aging DG, or can they also benefit other brain regions that rapidly decrease in function with age, including the prefrontal cortex and other subregions of the hippocampus (CA1)? Would flavanol supplementation earlier in life protect against brain aging or even boost cognition?